﻿ Best Price on Flor del Mar Ocean View Beach Front in Punta Cana + Reviews! 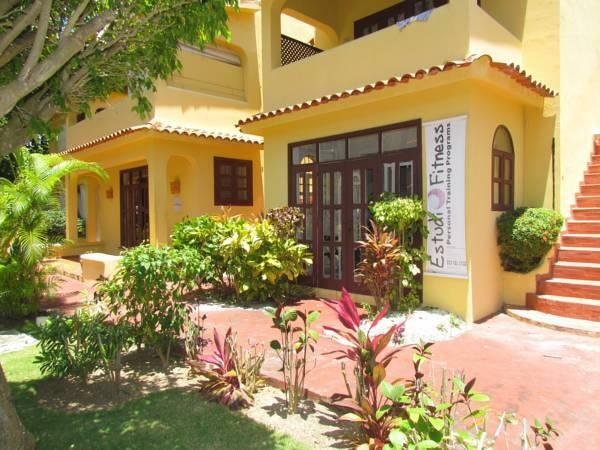 Located on a private stretch of Los Corales Beach, Flor del Mar features outdoor pools, gardens, a variety of restaurants and apartments with ocean views. Each Flor del Mar apartment is individually decorated and has either 1 bedroom and 1 bathroom, or 2 bedrooms and 2 bathrooms as well as a private balcony or terrace and satellite TV. Kitchens include a hob, microwave, coffee machine and toaster, while bathrooms offer free toiletries. Each bedroom and seating area has a ceiling fan or air-conditioning. Watersports such as snorkeling and diving can be arranged at the Flor del Mar. The complex also offers a gym and a spa with massage service, and a tour desk that offers a variety of outings, for an additional fee. The peaceful Flor del Mar complex is just a 2-minute walk from discos, karaoke bars and cafés. Two shopping centers can be found within a 15-minute drive. Free public parking is available in front of each apartment. Please inform Hotel of your expected arrival time in advance. You can use the Special Requests box when booking, or contact the property directly using the contact details provided in your confirmation. Guests are required to provide a photo ID and to fill in authorization form for prepayment according to the policies. Reservations cannot be modified by guests. Sales department is available only via messages. Communication with guest can be shared by hotel with third parties. Guests are required to provide cardholder's ID, to provide plastic card used for prepayment and to sign accommodations agreement at check-in. Payment before arrival is required. The property will contact you after you book to provide instructions. Swimming pool is for free of charge for guests of pool-view units. For other guests we have public pool for 5usd per day per person. A security deposit of USD 100 per bedroom is required upon arrival for incidentals. This deposit is fully refundable upon check-out and subject to a damage inspection of the accommodations. Being located in the tourist center music from cafes can be at different time. Please note that the electricity use is charge separately at check out, electricity prepayment is required at check-in, change will be provided at check-out. Guests are required to show ID and credit card upon check-in. Please note that all Special Requests are subject to availability and additional charges may apply. Please inform Flor del Mar Ocean View Beach Front of your expected arrival time in advance. You can use the Special Requests box when booking, or contact the property directly using the contact details in your confirmation. Guests are required to show a photo ID and credit card upon check-in. Please note that all Special Requests are subject to availability and additional charges may apply.